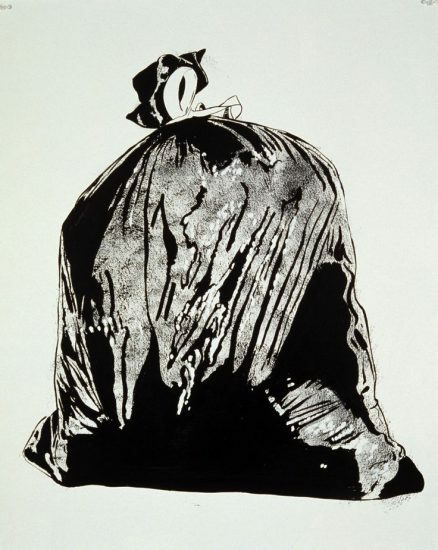 In Divine’s classic hit song “Born To Be Cheap,” that bewigged bastion of filth snarls, “As sure as there’s trash, I was born to be cheap!” Not only a rallying cry for gaudy girls everywhere, Divine also hits on an important factoid: Trash is forever. Not just those bags of garbage dumped at the side of the road, she meant the girls hooking Wet N’ Wild from the local drug store. White trash has always and will always be with us in America. Naturally, I’m always interested in texts that take on this carousel of history, which is why, apart from the title, of course, I picked up Nancy Isenberg’s White Trash: The 400-Year Untold History of Class In America. From the colonies to Elvis to Sarah Palin and Duck Dynasty, Isenberg provides an engrossing historical account of America’s white underclass. While hefty, White Trash is thankfully a page-turner and succeeds in proving just how obsessed with breeding, eugenics, class and status America is and has always been. Of course, there’s no better time to dig into a history of “waste people,” as they were often called by the colonists. As Isenberg writes in her introduction, which was penned before the election, “We can no longer ignore the stagnant, expendable bottom layers of society in explaining the national identity” (xv). No, Nancy, no, we can’t. So in order to give the, as Isenberg lists in the conclusion, “Offscourings. Lubbers. Bogtrotters. Rascals. Rubbish. Squatters. Crackers. Clay-eaters. Tackies. Mudsills. Scalawags. Briar hoppers. Hillbillies. Low-downers. White niggers. Degenerates. White trash. Rednecks. Trailer trash. Swamp people” their due, she sets out to trace their mostly rejected history (320). And by doing so, she reveals that the American dream wasn’t just deferred or put on hold for Trump, it was always just that–a dream. Some classes of people weren’t valued to begin with and only raised themselves up by further rejecting those they saw as below them–people of color. By exposing the constant machinations of class in the United States history, the author proves that the national American class identity as mobility and promise is somewhat of a fraud. However, the rural whites can be useful politically. She says, “Beyond white anger and ignorance is a far more complicated history of class identity that dates back to America’s colonial period and British notions of poverty. In many ways, our class system has hinged on the evolving political rationales used to dismiss or demonize (or occasionally reclaim) those white rural outcasts seemingly incapable of becoming part of the mainstream society” (xiv). The push/pull of reclamation of rural white trash has occurred since the beginning of the American experiment. The book lags a bit in the sections on the colonies where it mainly consists of the Founding Fathers making fun of the lower classes. Yes, that’s right Tea Partiers–Ben Franklin and Thomas Jefferson would have thought you were “vagrants and idle persons” too. But, once Andrew Jackson appears, things start to pick up. In fact, it’s a bit eerie how his, and his cohorts pinning the “crackers” against the East Coast “dandies” resonates with the Trumpers and the coastal elites today. Jackson too was a bit of a nut and seems to mirror another president. Hmmm…who does this sound like: “Not known for his subtle reasoning, Jackson was blunt in his opinions and quick to resent any who disagreed with him” (120). Too bad there wasn’t Twitter in the 19th century, I bet ol’ Wacko Jacko would have had some good ones. And this trend continues throughout the book, showing the consistent ignoring of the rural white class’ needs while insincerely groveling for their votes. Nothing’s changed and we have learned nothing. Rather than an upwardly mobile American promise or delusions of progress, Isenberg shows that certain classes were always defined as the bottom: repulsive, filthy and tacky. Confession: I’ve always wanted a trailer. Maybe not to live in full-time, but a part-time trailer at least. Why, you ask? Well, Nancy Isenberg puts it nicely in White Trash, “The trailer occupies an important, if uncertain, place in the cultural imagination. Representing on the one hand a symbol of untethered freedom, the mobile home simultaneously acquired its reputation as a ‘tin can,’ a small, cheap, confined way of life. When you live in a trailer, you are literally rootless and privacy disappears…At their worst, such places have been associated with liberty’s dark side: deviant, dystopian wastelands set on the fringe of the metropolis” (241). Oh, Mary, sign me up! As Isenberg sees it, the trailer occupies this problematic and, I would argue, transgressive middle ground between the fluid freedom of American possibility–the open road–and the undeniable downward mobility and cesspool-like stasis of trailer parks. And no matter how hard trailer manufacturers tried to redefine the dream of the trailer “resort” or the “camper,” these trash objects always thwarted reclamation with their association with depravity. This tension between attempting to market trailers as a middle American luxury object and the deviant reality occurred throughout trailer’s history as seen in White Trash. Appearing in the 1930s, trailers were almost immediately seen as blights, particularly associated with the migrant poor during the Great Depression. During World War II, trailer parks appeared as southern war camps during the wartime housing crisis. Washington Post reporter Agnes Meyer, in her hilariously titled Journey Through Chaos, visited some of these camps in the Deep South. Rather than understanding these communities as exemplary of the housing shortage, Meyer, instead, saw their resident’s trash lifestyle as a choice: “They had refused to move into respectable housing projects out of fear of the law–but mostly, Meyer believed, because they feared ‘the restraint of being members of a decent community’“ (242). As the term “trailer trash” became more common–not just restricted to the south, the trailer manufacturers desperately tried to change their image, referring to trailers as “trailer coaches” or a “bungalow-on-wheels” indicative of “carefree living” (242-5). But it never worked. 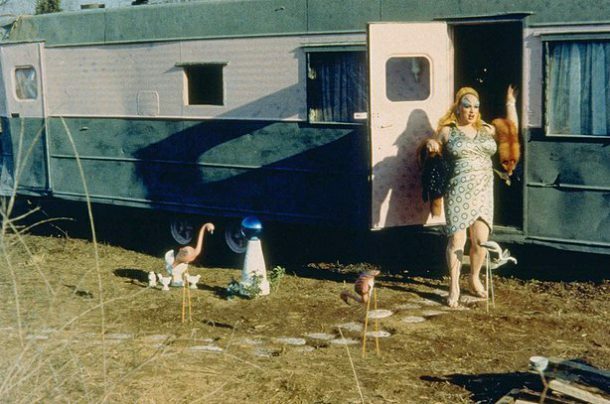 Trailers and their inhabitants were tainted as seen in the 1950s when they became the fantastical center of pulp culture with titles like, as Isenberg cites, “Trailer Tramps and The Trailer Park Girls,” which depicted “stories of casual sexual encounters and voyeurism.” (246). Even the object of the trailer itself seems to represent a destabilizing rootlessness associated with trash. “As an object,” Isenberg writes, “the trailer is something modern and antimodern, chic and gauche, liberating and suffocating. Unlike the dull but safe middle American suburb, trailer parks contain folks who appear on the way out not up: retired persons, migrant workers and the troubled poor. This remains true today” (241). Why are trailers prime examples of the trash aesthetic then? Well, they seem to be the antithesis of the American dream of a suburban home with three kids. Instead, they operate in some fluid time zone apart from the interworking of the typical American system. And they, as well as their inhabitants like Pink Flamingos’ Babs, are undeniably excessive–one of the other tenants of trash. Now, trash literally is excess, I mean in terms of actual garbage as representative of the excess of our consumption. It would naturally follow that one of the main tenants of trash aesthetics, then, is excessive behavior and looks. In Isenberg’s White Trash, nobody typifies the trash as excess lifestyle as much as that mascara-leaking queen Tammy Faye Bakker. She’s described in the book as the “picture of nouveau riche femininity” (288) and compared to fellow role model Dolly Parton’s “excessive womanliness” (287). This is really just a nice way to say they’re both drag queens. Now, of course, we can’t leave out Tammy’s better half–the TV preacher scam artist Jim Bakker into this discussion of trash excessiveness. In fact, on his own TV show, shouted about his own extravagance saying: “I’m excessive, dear Lord, I’m excessive” (286). I mean, that’s just how I wake up in the morning too. Isenberg continues, “Bakker’s ministry preached the white trash dream of excess. In one 1985 program, he defended the extravagant style of his Christian amusement park hotel: ‘The newspaper people think we should still be back in the trash…they really think Christians ought to be shabby, tacky, crummy, worthless people because we threaten them when we have things as nice as they have’” (286). I don’t think that! By promoting excessiveness, there’s a connection to the oldie but goodie–decadence. Like decadence, trashy excess features an unwavering devotion to aesthetics, but here, unlike even decadence, these are bad aesthetics. They’re cheap, gaudy, janky, shonky and just a tad wonky. And they’re also a bit gothic, as Isenberg points out. She writes: “there was something almost gothic in the exaggerated white trash image of Tammy Faye Bakker. She achieved the American dream not because of her beauty, education or talent, but because of having fashioned a cable TV personality that refused to partake in the fine manners of her social betters. 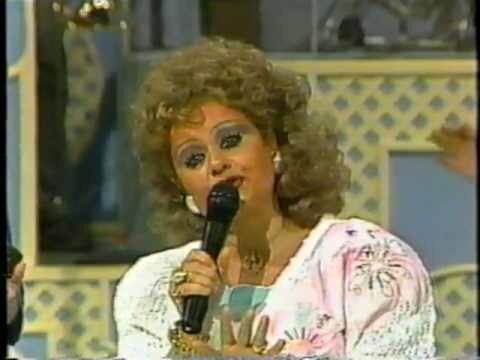 Tammy Faye was the rejection of everything Pat Loud (of An American Family) and middle class propriety stood for: emotional restraint, proper diction, subdued dress, and obvious refinement. Nor was she rustic, or the embodiment of old-fashioned yeoman simplicity. She embraced her garish self from head to toe. Her tawdry excess made her beloved among the poor white fans and unredeemable in the eyes of Middle America” (289). And what could that be, other than true subversion of the American ideal. Now, excuse me while I wipe the rivers of flowing black eye makeup off my face. Tags: Andrew Jackson, Dolly Parton, Donald Trump, Elvis, Elvis Presley, Nancy Isenberg, Pink Flamingos, Sarah Palin, Tammy Faye Bakker, Time Is A Flat Circle, trailer trash, trash aesthetics, White Trash, White Trash: The 400-Year History of Class In America. Bookmark the permalink.